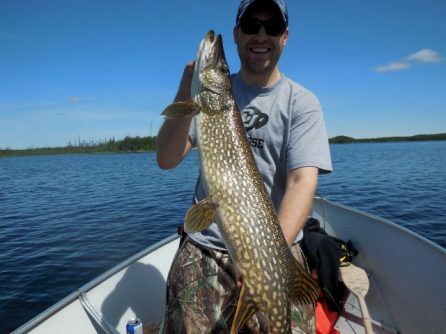 We had the BEST fishing we’ve ever had in terms of numbers of fish caught. 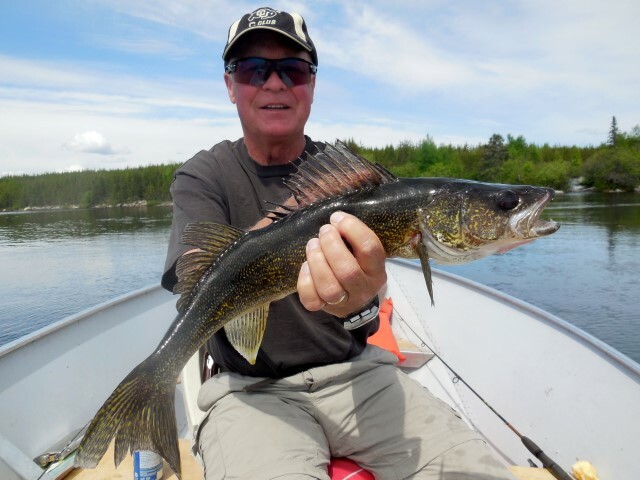 The walleye fishing was fantastic! The four of us in 6 days released over 1,700 fish! 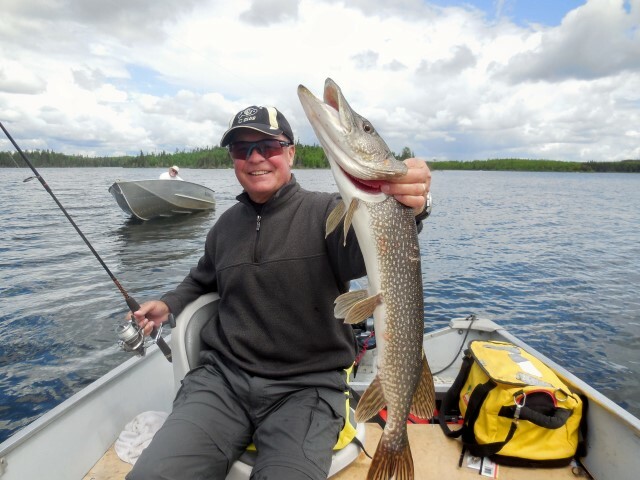 We caught a few ‘eyes in the 19-20″ range, but most were fat, healthy 16-18″ fish. Just the right size for eating! 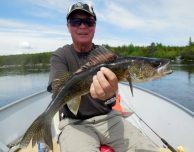 We caught most on a jig with minnow, leech or ‘crawler, but also caught fish on a variety of crankbaits, floating-diving plugs, and plastics. 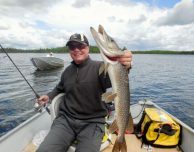 We released a couple of big Northerns. I caught a 39″ northern which tied my biggest ever, and the other Mike Britt released a 34 incher. We released a handful in the 28-30″ range too. 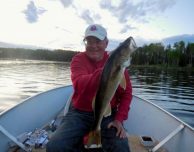 We motored up to the north end of Keeper Lake where it narrows down before the rapids and caught one small Northern after another – a fish on every cast just about. They weren’t trophies, but boy, were they fun to catch! We’d throw a floater-diver lure out, let it lay still, then twitch it, and a Northern would hit it every time! In summary, we had a great time, caught a ton of fish, and can’t wait for next year! You can have the fly-in fishing trip of a lifetime, too! Head over to the Openings & Specials page to see our last open weeks in 2016.